What happens when Boston Dynamics goes too far? 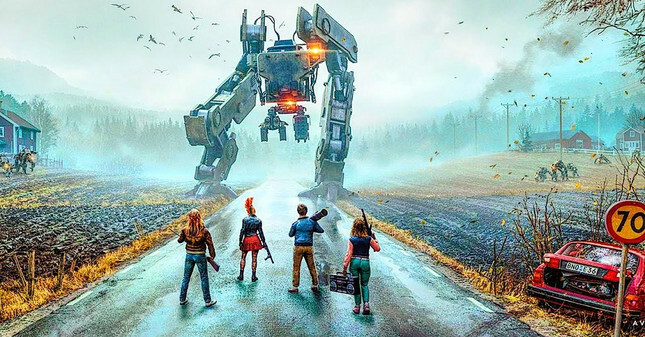 Generation Zero, the upcoming open world shooter from Just Cause and Rage 2 devs, Avalanche Studios is shaping up to be a fantastic co-op experience. Generation Zero's unique setting of an alternate Sweden in the 1980s, is a welcome breath of fresh air for the shooter genre. The game sees your peaceful country homeland invaded by a terrifying army of vicious machines. Players will be able to fully customise a unique character and their weapons, while teaming up in squads of up to four players. The game also features a fully persistent world where enemies will continue to show any damage you deal if you aren't successful in fully decommissioning them. The latest trailer for Generation Zero shows how players will have to use stealth, traps and a cunning tactical co-ordination as they team up to take back the land while also uncovering the greater story behind the invasion. What do you think? Are you as excited as I am for Generation Zero? Let me know in the comments below!